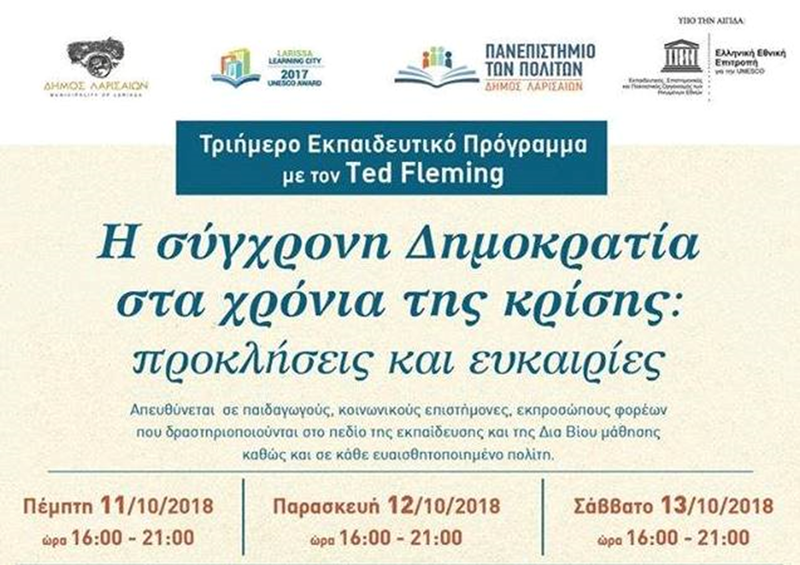 Dr. Ted Fleming is adjunct Associate Professor of Adult Education at Teachers College, Columbia University, New York. Previously he has been a senior academic and Head of Department at Maynooth University Ireland and Associate Dean of the Faculty of Social Sciences. He is Academic Advisor to the Citizens' University of Larissa in Greece. Awarded a B.Sc. (NUIM) and a B.D. before undertaking graduate studies (M.A & Ed.D.) at Teachers College, Columbia University with Jack Mezirow as academic advisor. He also studied with Paulo Freire in Boston. Fleming, T., Kokkos, A. and Finnegan, F. (in press, 2019). European Perspectives on Transformation Theory. London: Palgrave Macmillan. Fleming, T. (in press, 2019). Jürgen Habermas: Neoliberalism and the Importance of Higher Education for Democracy. In R. Barnett & A. Fulford (Eds. ), Debating Higher Education: Philosophers on the University. Heidleberg: Springer. Fleming, T. (in press, 2019). Mezirow’s Theory of Transformative Learning: In Dialogue with Honneth’s Critical Theory. In E. Kostara & A. Gavrielatos (2019). Transformative Learning Theory & Praxis. London: Routledge. Fleming, T. (2018). Democracy in times of crises. Course taught at the Citizens' University Municipality of Larissa, Greece October 14. Fleming, T. (2018). Education, Critical Thinking and Imagination. Paper presented at Roundtable at the 4th International Conference on Innovation in Education at the University of Thessaly Medical University, Larissa, Greece, October. Fleming, T. (2018). Teaching for critical and transformative learning. Paper at 1st Summer School: Building a Learning City, Larissa Greece. Sponsored by Larissa City Council, Hellenic Open University, Hellenic Adult Education Association and UNESCO. (June 2018). Fleming, T. (2018). Learning Careers and Transformative Learning: Challenges of Learning and Work in neoliberal Spaces. In B. Merrill, A. Galimberti, A. Nizinska and J. Gonzalez Monteaugudo (Eds. ), Continuity and Discontinuity in Learning Careers: Potentials for a Learning Space in a Changing World (pp. 19-34). Leiden NL & Boston: BRILL/SENSE. Fleming, T., Finnegan, F. & Loxley, A. (2017). Access and Participation in Irish Higher Education. London: Palgrave Macmillan. Fleming, T. (2017). Celebrating Learning. Presentation of Certificates and Awards at Henrietta Adult and Community Education, June 27th. Fleming, T. (2017). Social Care Education: Where culture, politics and psychology Collide. Invited keynote at Carlow College Conference Celebrating 20-Years of Department of Social Care, Carlow (March). Fleming, T. (2017). The Joy of Learning. Invited paper at City of Dublin Local Education and Training Board Seminar for AONTAS Adult Learning Festival (March). Fleming, T. (2016). No Democracy without Education: Training, Education and the FE Training Strategy. Paper delivered at the Limerick Clare Education and training Board Conference on Further Education Dromoland, Co Clare (December). Fleming, T. (October, 2016). Recognition and Community Education. Presentation to the AONTAS Community Education Network, Dublin. Fleming, T. (October, 2016). Recognition of Learning - Learning to Recognise. Speech at Awarding of Special Purpose Certificates and Diplomas by Carlow Institute of Technology and An Cosán Virtual Learning Community College. Fleming, T. (2016). Poverty and adult education. Paper read at United Nations International Day against Poverty Conference at An Cosán, Tallaght, Dublin (September 2016). The Role, Nature and Difficulties of Dialogue in Transformative Learning, Athens. Fleming, T. (2016). The critical theory of Axel Honneth: Implications for transformative learning and higher education. In V. Wang and P. Cranton (Eds. ), Theory and Practice of Adult and Higher Education (pp. 63-85). Little Rock, AK: Information Age Publishing. Fleming, T. (2015). Recognising Community Education. Commencement Address at An Cosan, Adult Education Centre, Dublin. Fleming, T. (2015). Educating non-traditional students in higher education. Invited keynote at the National Forum for the Enhancement of Teaching and Learning in Higher Education Conference on Understanding and Supporting Access Transitions in Higher Education at University of Limerick+. Fleming, T. (2015) The recognition turn in Honneth’s critical theory: Implications for transformation theory. Invited paper at Teachers College, Academic Festival. Fleming, T. (2015). Studies in higher education classrooms: Belgium, Norway and Ireland. Association for Higher Education Access and Disability Conference: Universal Design for Learning, Dublin Castle. Fleming, T. (2014). Axel Honneth and the struggle for recognition: Implications for transformative learning. In A. Nicolaides and D. Holt (eds.). Spaces of transformation and transformation of space. Proceedings of the 11th International Transformative Learning Conference (pp. 318-324). New York: Teachers College. Fleming, T. & González-Monteagudo, J. (2014). Theorizing student experience: Structure, agency and inequality. In F. Finnegan, et al. (eds.). Student Voices on Inequalities in European Higher Education: Challenges for Policy and Practice in a Time of Change (pp. 13-24). London: Routledge. Fleming, T. & Finnegan, F. (2014). Critical theory and non-traditional student experience in Irish higher education. F. Finnegan et al., (eds.). Student Voices on Inequalities in European Higher Education: Challenges for Policy and Practice in a Time of Change (pp. 51-62). Finnegan, F., Thunborg, C. & Fleming, T. (2014). Enduring inequalities and student agency: Theorizing an agenda for change in higher education. In F. Finnegan, B. Merrill & C. Thunborg (eds.) Student Voices on Inequalities in European Higher Education: Challenges for Policy and Practice in a Time of Change (pp. 151-162). London: Routledge. Fleming, T. & Finnegan, F. (2014). A critical journey toward lifelong learning: Including non-traditional students in university. In A. Loxley, A. Seery & J. Walsh (eds) Higher Education in Ireland: Practices, Policies and Possibilities (pp. 146-159). Basingstoke, UK: Palgrave Macmillan. O’Murchada, S. & Fleming, T. (2014). Supporting people with disabilities in higher education. Paper at Review of National Disability Policies and Strategies Conference at Mansion House Dublin. Fleming, T. (2014). Imagining Further Education: The role of imagination in education. Invited keynote at Conference: Teaching and Learning in Further Education: Skills for 21st Century at National College of Ireland. West, L., Fleming, T. & Finnegan, F. (2013). Connecting Bourdieu, Winnicott and Honneth: Understanding the experiences of non-traditional learners through an interdisciplinary lens. Studies in the Education of Adults, 45(2), 119-134. Murphy, M. & Fleming, T. (2013). Between common and college knowledge: Exploring the boundaries between adult and higher education. In M. Murphy (ed.) Social Theory and Education Research (Vol. 1), (pp. 163-180). London: Sage. Quirk, M. & Fleming, T. (Eds.). (2013). Journeys of Students with Disabilities from AHEAD'S 25 Year History. Dublin: Association for Higher Education Access and Disability. (2013). Adult education for a change: Teaching and learning for the addiction professional. Paper presented at the National Health Research Board Conference: Twenty five year celebration of the National Documentation Centre on Drug Use, Dublin. (2013). Adult Education for the Addiction Professional. Invited Keynote address at STRADA and Scottish Government Conference: The Road to Recovery: Five Years On, University of Glasgow, Scotland. Fleming, T. (2012). Review of Claudia W. Ruitenberg & D.C. Phillips (Eds.) (2012). Education, Culture and Epistemological Diversity: Mapping a disputed terrain. New York: Springer, in Teachers College Record. Murphy, M. & Fleming, T. (Eds.) (2012). Habermas, teoria krytyczna i edukacja. Wroclaw, Poland: Academic Press. Fleming, T. (2012). The self in transformation: What gets transformed in transformative learning? In C.J. Boden & S.M. Kippers (eds.) Pathways to Transformation: Learning in Relationship (pp. 343-353). Little Rock, AK: Information Age Publishing. Fleming. T. (2012). Fromm and Habermas: Allies for adult education and democracy. Studies in Philosophy and Education, 32(2), 123-136. Murphy, M. & Fleming, T. (eds.) (2012).Habermas, Critical Theory and Education Paperback Edition. New York: Routledge. Fleming, T. (2012). 'Habermas, Critical Theory and Education'. Paper presented at Conference Pedagogika krytyczna dzis: Pytania o teorie i praktyke (Critical theory today: Questions about theory and practice) at the Pedagogical Institute, University of Gdansk, Poland. Fleming, T. (2012). Cinderella or Prince: History and other narratives of adult education in a university. Keynote address at EU Gruntvig Conference New Dynamics of Learning & Aging: Research, Policy and Practice at NUI Maynooth, March 2012. Fleming, T. (2012). 'Working and linking together in times of change.' Paper read at Link-Up and Learn Community Education Conference, Dodder Valley Partnership, Tallaght, (May 23, 2012). Fleming, T. (2011). Recognition in the work of Axel Honneth: Implications for Transformative Learning Theory. In M. Alhadeff-Jones & A. Kokkos, (Eds). Transformative Learning in Time of Crisis: Individual and Collective Challenges (pp. 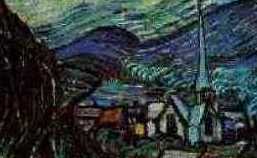 95-101). New York: Teachers College. Fleming, T. (2011). Models of Lifelong Learning: An overview. In M. London (Ed). Oxford Handbook of Lifelong learning, (pp. 29-39). New York: Oxford University Press. Finnegan, F., Fleming, T., Kurantowicz, E. & Nizinska, A. (2011). Uczenie siê i uznanie: Doœwiadczenia studentów i badaczy w projekcie RANLHE. Terazniejszosc - Czlowiek - Edukacja, 53(1), 7-19. Fleming, T & Finnegan, F. (2011). Cultural and Institutional Perspectives on Access and Retention of Non-Traditional Students in Irish HE: A Research Report. RANLHE, University of Wroclaw, Poland. Fleming, T., Loxley, A., Kenny, A. & Finnegan, F. (2010). Where Next? A Study of Work and Life Experiences of Mature Disadvantaged Students in three Higher Education Institutions. Dublin: Combat Poverty Agency. Fleming, T. & Finnegan,F. (2010). Towards a critical theory of access and retention in Irish HE. In B. Merrill & P. Armstrong, (Eds.). Looking Back, Looking Forward: Learning, teaching & research in adult education past, present & future (SCUTREA), (p.132-135). Univ of Sussex: Centre for Continuing Education/SCUTREA. Fleming, T. & Finnegan, F. (2010). Retention and Progression in Irish Higher Education. Paper read at Higher Education Authority of Ireland Conference Retention and Progression in Higher Education in Ireland. Dublin.